This crowd-pleaser is perfect for an early Spring potluck when you’re stuck between that ‘Yay! Winter citrus!’ and ‘All I want are fresh greens’ stage of life. 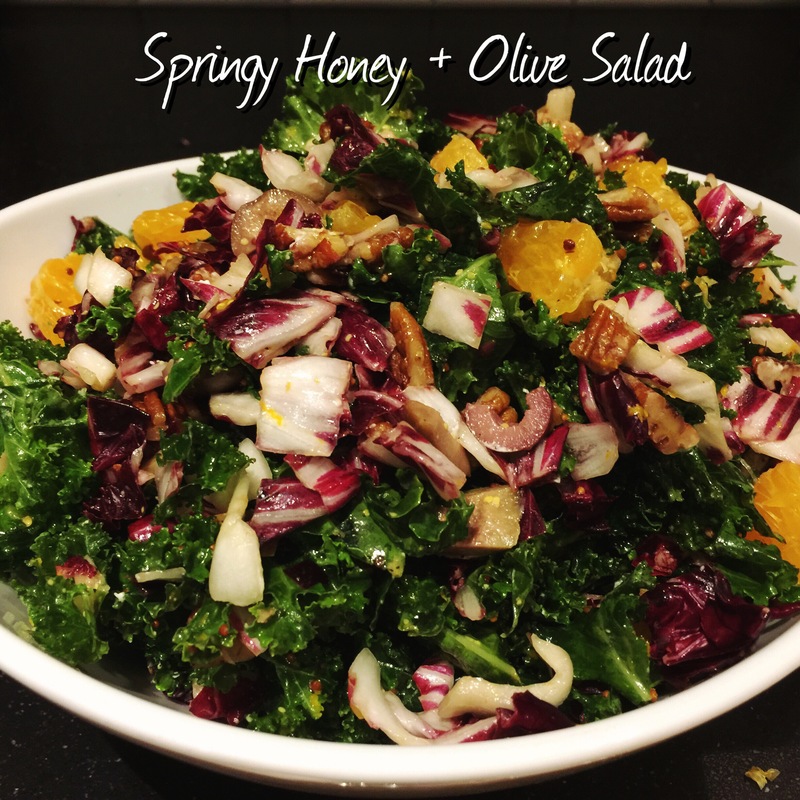 This salad has enough going on that it will impress your foodie friends, is user-friendly enough that you *should* be able to convince everyone to be on board with olives, and can be tweaked just a bit to satisfy your vegan friends. Add the kale to a large bowl. Zest the citrus on top. Chop the radicchio and add. In a separate bowl, whisk the lemon juice, olive oil, honey, mustard, salt & pepper. Pour the dressing over the greens and massage by hand to work the dressing into the leaves. Chop the olives and add. Toast the pecans, chop and add. Supreme the citrus, chop and add. Crumble the goat cheese and add. It was really good – and a real crowd-pleaser. Thanks – glad you like it!